Born in 1941 Anneke Wills began acting at the age of 11 in the 1954 film Child's Play. After attending the Royal Academy of Dramatic Art (RADA) further film and television appearances followed including an episode of The Saint "The Helpful Pirate" in 1967 and 2 episodes of the The Avengers. "Dressed to Kill" in 1963 and "£50,000 Breakfast" in 1967. After Doctor Who she had a regular role in the crime drama series Strange Report. She then gave up acting and moved to Norfolk to run a craft shop. During 1979 she left the UK and stayed in a number of countries, including a length of time in India, before finally settling in Canada working as an interior decorator. Polly was perky, cheeky, and an extremely attractive, trendy fashion conscious secretary working for the misguided scientist Professor Brett who has designed a futuristic computer called WOTAN. While at a London night club Polly meets Ben and Dodo. After Ben had helped The Doctor defeat WOTAN and rescue Polly from its influence - WOTAN having constructed deadly War Machines which go on the rampage through the streets of 1966 London -, Polly and Ben meet The Doctor outside the TARDIS to inform him that Dodo has decided to stay behind. After saying good bye they turn and walk away together. Ben suddenly realises that they still have Dodo's TARDIS key so they quickly enter the police box to return it just as the TARDIS dematerialises ("The War Machines"). The characters of Polly and Ben played a very important role in helping the viewers accept that William Hartnell had been replaced by Patrick Troughton when The Doctor regenerated. While Ben tries to trick The Doctor into proving that he is an intruder, and not The Doctor that they once knew, Polly is much quicker to accept that this is in fact The Doctor - albeit now a totally different man in body and personality - and not some ghastly intruder. She managed to cope with this dramatically different Doctor without too much of a problem despite his being more unpredictable which meant that she could never tell what he was going to do next. ("The Power of the Daleks"). Polly is very forward and outgoing and with her good nature she is able to get along with people and especially with Ben. During the time they spent aboard the TARDIS together there was a lot of good hearted jibes between them and she occasionally made fun of Ben's Cockney accent. In return she allowed Ben to nickname her 'Duchess'. Along with Ben she instantly strikes up a good rapport with The Doctor, and, despite The Doctor’s apparent anger when he realised that he had two new companions, he generally seemed to get along well with them, teasingly informing Polly that he had ‘excellent hearing’ after she jokingly described him as an ‘old buzzard’ - having previously pictured herself as a cat person and Ben as a dog - when she thought he wasn’t in the room ("Ten Little Aliens"). Polly was a fairly intelligent companion and this was demonstrated when they meet the Cybermen while they are trying to invade a moon base. It was during this story that she realised that the Cybermen's chest units were made of plastic and so could be dissolved by the use of solvents, which Ben decided to call 'Cocktail Polly' ("The Moonbase"). Her morality was also a prominent part of her personality, Polly reflecting once that she had felt great pride when her country abolished the death penalty when she was still a young girl ("The Murder Game") and feeling guilty when she was responsible for the death of actor Caleb Rochfert despite the fact that he had been trying to influence her to shoot The Doctor ("Dying in the Sun"). Although she had attempted to once give something back to the community on Earth by working in a charity shop, she had found the experience too drab and repetitive after only a couple of weeks, walking out and donating a pile of the previous year’s fashions to make up for her lack of commitment ("Ten Little Aliens"), finding in the TARDIS an excellent opportunity to help others on a larger scale. Despite often relying on The Doctor and her fellow companions in times of trouble she frequently proved that she was more than capable of looking after herself in difficult situations. Ben though very much saw himself as her protector. Polly was a screamer, but she was by no means a coward. She showed great resourcefulness and stamina, although this was known to backfire on her at times, such as when she attempted to independently investigate the quasi-religious group FOCAL - a front for an alien race known as the Selyoids who sought to gain control of humanity to make them help the Selyoids regain corporeal form - only to become a Selyoid host herself, although Polly rejected the Selyoids when she realised that their enhancements of her body had also left her emotionally distant from her friends ("Dying in the Sun"). On another occasion, she was even tricked by an alien into activating a set of psychically -powered beacons which compressed Earth’s life-essence into a small energy sphere using her previously-dormant psychic powers, although The Doctor was able to recover the globe ("Invasion of the Cat-People"). The relationship between Polly and Ben was without doubt a case of opposites attracting each other, and the differences between them spilled into plenty of disagreements. But underneath there was an ever-growing closeness between them - even if both parties were reluctant to acknowledge it ("The Murder Game") -, which was why they both decided to leave the TARDIS together. When the TARDIS materialised back in 1966, Polly and Ben realised that it was exactly the same day as when they left in the TARDIS so they both decided to stay on Earth. This was the obviously the best time for Polly to leave and continue where she had left off albeit slightly older then when she left (The Faceless Ones"). Although Ben and Polly subsequently went their separate ways and married other people, the two spent the day together when Mondas came to Earth in their lifetimes to wait out the experience as their past selves dealt with the crisis ("Short Trips - Mondas Passing"). Following this, Polly married someone else and became pregnant, but an argument with three women at a cricket match during her pregnancy - coincidentally the Fifth Doctor’s companions Tegan Jovanka, Peri Brown and Erimem (Peri and Erimem visiting that location to stop Tegan making a crucial mistake, their Fifth Doctor naturally staying away to avoid accidentally meeting his younger self) - resulted in Polly re-evaluating her life and throwing away comfort, stability and love for an exciting, glam but ultimately shallow lifestyle, to the extent that she became head of the GEZ record company but had minimal contact with her son Mikey. This continued until she collapsed at the funeral of a reality TV-show host at the turn of the millennium and was attacked by an unidentified hostile force that sent her to different locations in history to disrupt the timeline. Although the Time Lords stepped in to halt the jumps by sending the Second Doctor and Jamie to assist her, her ‘travels’ helped Polly realise the mistakes she’d made in her past before Ben was able to give her the kiss of life and restore her to her body. With Ben and Polly having finally admitted their love for each other, they subsequently spent New Year’s Day with their old friends as they began their new lives ("Short Trips: Past Tense - That Time I Nearly Destroyed the World While Looking For a Dress"). 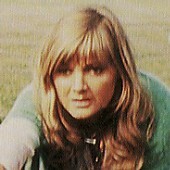 While searching the Internet for other old friends of The Doctor, Polly made the acquaintance of The Doctor's long-time friend Brigadier Lethbridge-Stewart, the Brigadier telling her all about The Doctor's exile on Earth in his third incarnation ("Spearhead From Space") after they confirmed their shared knowledge of his first two selves. They also made contact with Thomas Brewster during his temporary theft of the TARDIS, helping him recover the stolen ship from The Doctor's old foe, Gerry Lens, and defeat the powerful being known as the Coffin Loader who sought to consume the supposedly dying Earth ("The Three Companions"). During the Game of Rassilon ("The Five Doctors"), Polly was reunited with The Doctor when she was abducted along with previous companions Ian Chesterton, Steven Taylor and Sara Kingdom, as well as later companion Nyssa ("The Five Companions"), and trapped in an alternative Death Zone, where they were caught up in a conflict between the Daleks and the Sontarans. Despite her own fears in the face of these two powerful enemies, Polly's spirits were revived when the Fifth Doctor reminded her of her old courage in facing the Cybermen, later killing a Sontaran with her stilletto because he was too busy focusing on The Doctor to pay attention to her. In "Death of The Doctor" - an episode of spin-off series The Sarah Jane Adventures, looking at the modern adventures of the Third and Fourth Doctor’s companion Sarah Jane Smith -, Sarah Jane mentioned that her research into other companions had included reference to Ben and Polly as a couple who ran an orphanage in India. When the TARDIS arrives on the Moon, The Doctor and his companions are shocked to discover that the Cybermen are intending to use the Moonbase to launch another attack on the Earth. When she finds herself imprisoned in the sickbay with Ben and Jamie it is Polly who deduces that as the Cybermen's chest units are made of plastic and so must be vulnerable to attack by solvents. Using fire extinguishers filled with a 'cocktail' of various solvents and other objects that attack plastic, they lead a fightback attacking any Cyberman they come across with Polly's cocktail. ("The Moonbase").